I was quite impressed with the organization of the small town of Goreme literally translated as ‘The Invisible Town’ due to the huge amount of rock outcrops hiding the valley-town from invaders in the past. 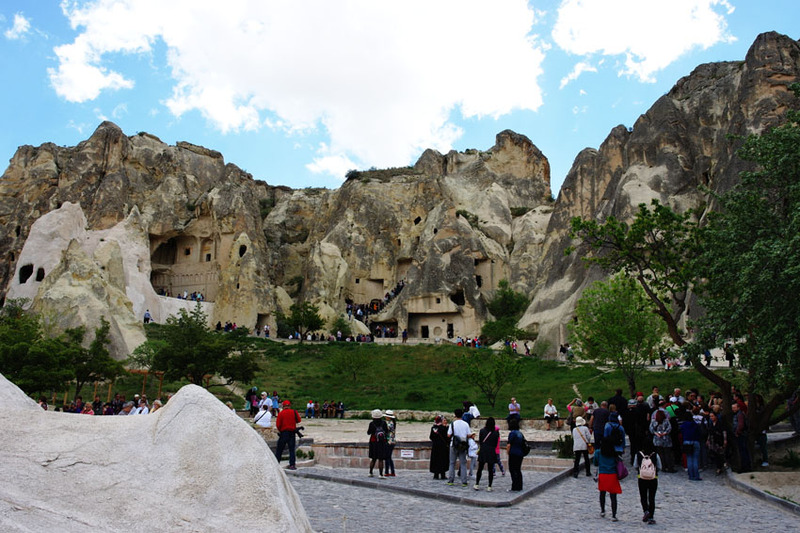 We decided to use Goreme as a base to explore Cappadocia after reading many positive reviews about it. Once we reached the bus terminal, there was a convenient information office for us to inform about our arrival. The polite officer helped us call our hotel owner from Shoestring Cave House to pick us up. 5 minutes later we were in Shoestring’s office making a reservation for the Red Tour, Green Tour and the hot-air balloon package. Our double deluxe room with private balcony. Ask for Room 401. After freshening up for 15 minutes, we wasted no time in starting the Red Tour. Unlike our previous adventures where we had 8 plenty months to take our time and absorb the experience of travelling, this time round we were on a time budget and had to squeeze everything in two weeks as much as possible. Keep in mind that for 42 hours since we left Singapore, we haven’t had any proper sleep or food. Our fatigue was quenched with the more important objective of maximizing the time we had in Turkey. First trip was to a Fairy Chimney Castle called Uchisar Castle, which is also the highest point to view the entire valley. 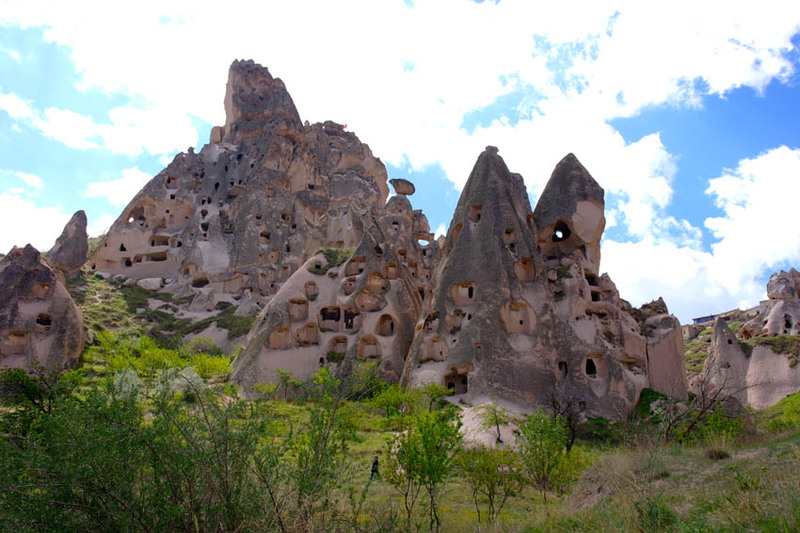 However, it functioned more of a watchtower with a small community underneath a superb landscape of rock outcrops (called Fairy Chimneys hence the castle name) with homes and other useful spaces carved within this rock caverns. This tremendous work of nature was due to million of years of combinations of erosions, earthquakes and volcanic eruptions. In addition they carved in small holes for pigeons to be used as messengers and also to collect their droppings to be used as fertilizers. 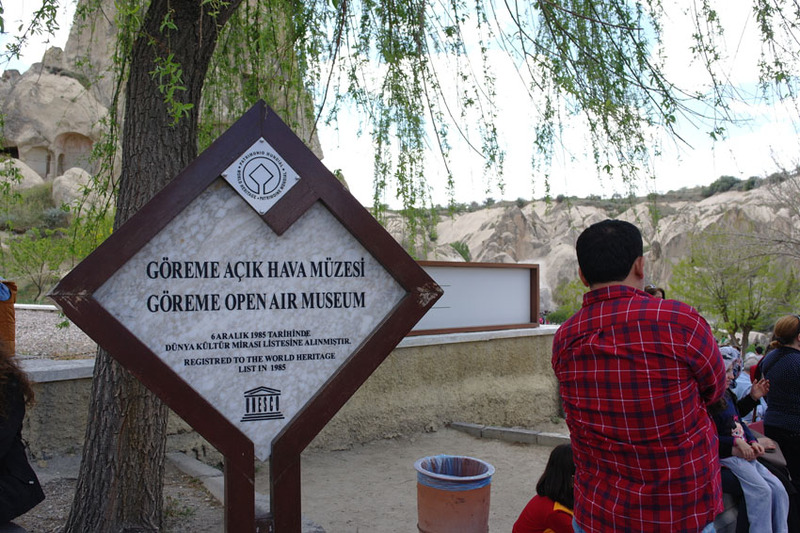 Second trip was to the Goreme Open Air Museum – a similar landscape of rock outcrops in which missionaries in the past dwelled and taught Christianity in Turkey during the time when Romans persecuted Christians. When the Byzantine Empire (Eastern Roman Empire after Christianity became the main religion of Rome) took over, it was transformed into a monastery for monks, hermits, nuns and priests and the tallest tower also served as a watchtower for invaders. Currently, it is not inhabited as the Government claimed that it is unsafe for residence and has been preserved as a tremendous history and origin of Christianity in Turkey. What was most intriguing was the frescoes painted within these walls and what was even more interesting than that was that most of the faces and eyes were carved out. In addition some of the saints and royal families are also buried and we could see the skeletons. The Turks believed that the higher you bury a body, the closer the soul would be to heaven and God. Lunch came next with traditional Turkish food cooked in clay pots and served hot. Honestly i wasn’t too impressed with the overpriced restaurant but since it was included in the package I wouldn’t comment too much on it. After lunch we went to an abandoned ruin where Greeks used to dwell before the Ottaman Empire fell. After the Turkish Democracy, the Greeks in Turkey had to move back to Greece and the Turks had to move back to Turkey. What was most prominent here was a church built inside a cave and extended so that it looked like a proper building of worship and then it was transformed to a mosque after the Greeks were forced to left due to the Turkish Democracy ruling. Subsequent visits after that were quite dull compared to the first three but I’ll go through them anyways. First after the superb tour of the history of the residence in the Fairy Chimneys was going to a pot making shop. Basically it was nothing much other than to show you live clay making and seducing you to buy their clayware collections. To be fair though, they weren’t overly pushy. Next was going to their winery. Nothing to comment much about it except there was a long queue of people desiring to purchase wine. 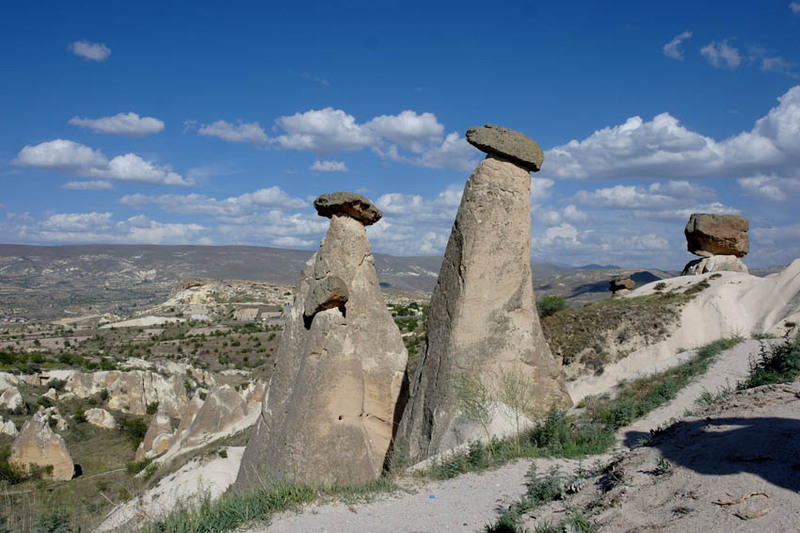 Last stop was the icon of Cappadocia, the famous rock outcrops, The Fairy Chimneys, which were usually shown as a symbol internationally to represent Cappadocia. These big outcrops were affectionately name ‘Grandfather’ and ‘Grandmother’. What captivated me most though was Mount Argaeus at the far backdrop, a snow-capped volcano. I will do more research on it and would like to explore or hike it in future if possible. And that basically sums up our Red Tour of Cappadocia. Tomorrow would be the legendary hot-air balloon at dawn followed by the Green Tour. A value-for-money hotel with superb hospitality, breakfast buffet, fast wifi, clean and comfortable cave rooms. A wonderful place to meet light-hearted friends and a relaxing haven to soak in the Goreme culture. Front desk staffs are always on their feet to help you with your bookings and other travel matters around Turkey. Definitely a must-stay in Goreme.